The state has launched an investigation into the low-pressure issue that left thousands in Newport without heat. As of Thursday, National Grid staff said it could be another six days before heat is restored to all affected residents. The state Division of Public Utilities and Carriers is now reviewing the problem. DPUC staff are already working in Newport, compiling information alongside National Grid. The second investigation falls to the federal government, in part because of the interstate nature of the region’s gas pipelines. Specifically, it’s the Pipeline and Hazardous Materials Safety Administration under the Department of Transportation that will carry out this investigation. More than 200 of 500-plus PHMSA employees are on furlough as a result of the lapse in funding. It’s unclear whether the investigation will be held up in any way by the government shutdown. Governor Raimondo says she believes the investigation is underway. And according to the DOT, investigations into pipeline accidents will continue through the shutdown. 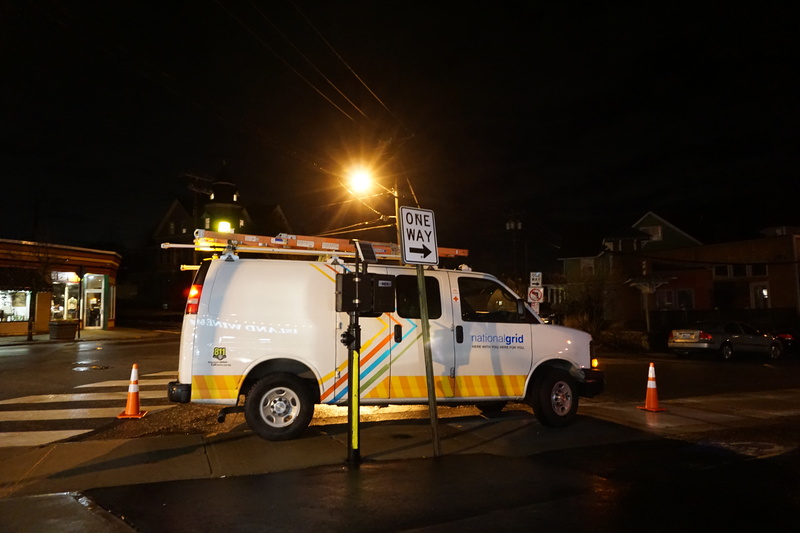 According to National Grid, the decision to shut off gas to Newport customers was made the night of January 21st out of an “abundance of caution.” The utility says it discovered gas pressure was falling at a Massachusetts gate station Monday morning. When gas pressure falls to dangerously low levels, pilot lights, which helps control flow of gas into buildings can go out. When this happens, gas can leak back into buildings. The gas company Enbridge is responsible for the pipeline system that transports much of the region’s gas, along what’s called the Algonquin Pipeline. That system goes from New Jersey the greater Boston area. According to Enbridge spokeswoman Marylee Hanley, the loss of gas pressure was the result of unusually high demand due to cold weather, and an “equipment malfunction,” on which Hanley was unwilling to elaborate. “There appears to be a number of other contributing factors that may have exacerbated the conditions leading to the loss of service,” Hanley said in an emailed statement. Newport and a portion of Middletown were the only areas affected, because they represent the end of the pipeline, and would be the first to lose pressure. 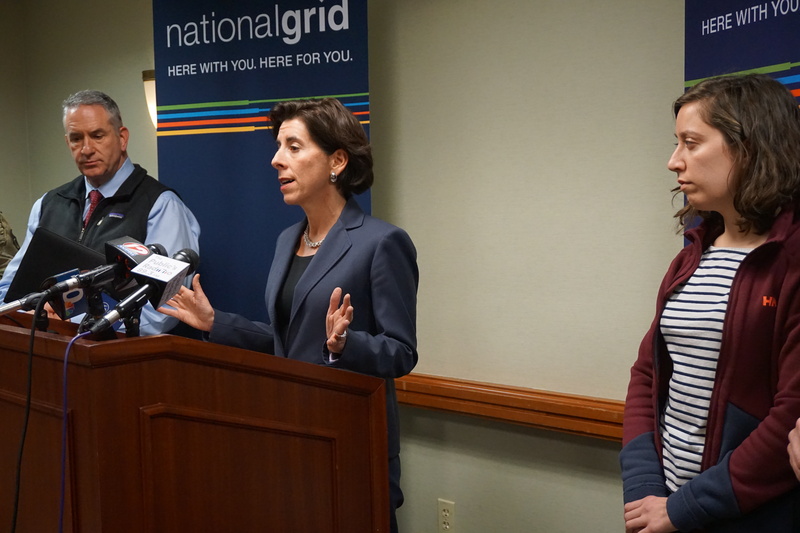 Because the Island receives gas from a single feed off the interstate pipeline, National Grid says such an event is “highly unlikely” to happen elsewhere. The results of the tandem investigations into the low-pressure issue are not expected anytime soon. With additional reporting by Sofie Rudin. Governor Gina Raimondo, center speaks in Newport, as Mayor Jamie Bova, right, looks on.